Super-fast transport could be coming to a state near you. 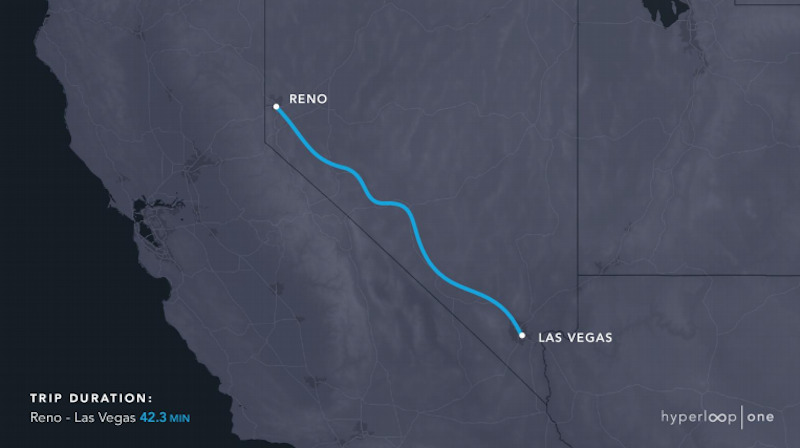 Hyperloop One is seriously considering building its high-speed transit system in several states in the United States. The Los Angeles-based startup held a two-day event in Washington DC this week to showcase its “Vision in America.” The event served two purposes: one, to evaluate eleven US route proposals for the high-speed transit system, and two, to meet with federal regulators in Washington about getting the system up and running. 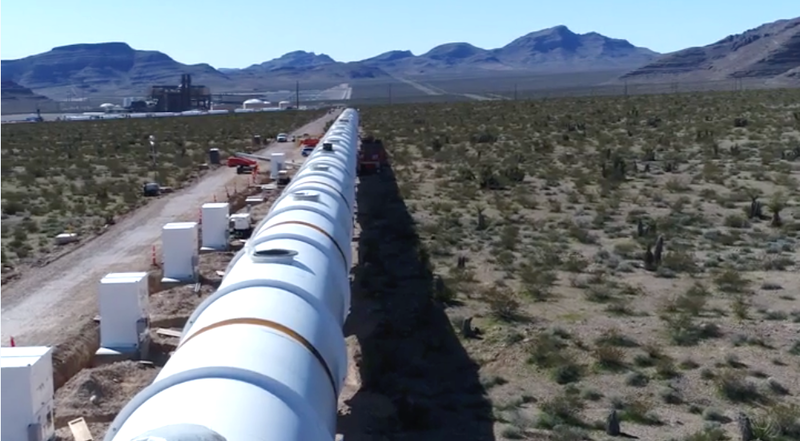 The event shows Hyperloop One is trying to get ahead of the regulatory curve before it even proves the technology. The startup plans to launch a public trial, which Earle refers to as the company’s “Kitty Hawk moment,” on its two-mile development track in Nevada by the end of June. But a company has yet to prove the system Tesla CEO Elon Musk outlined in a White Paper in 2013. 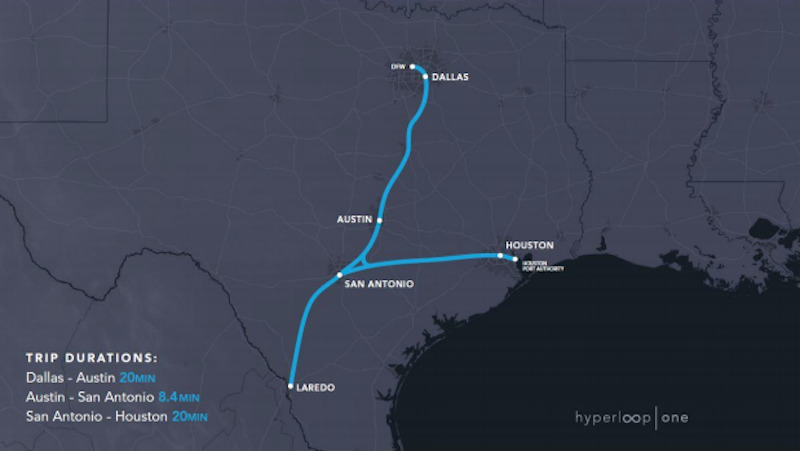 Earlier this year, Hyperloop One launched a global challenge to crowdsource route proposals for a Hyperloop system in the US. After receiving over 2,600 submissions, the startup selected eleven finalists to present their vision in DC. 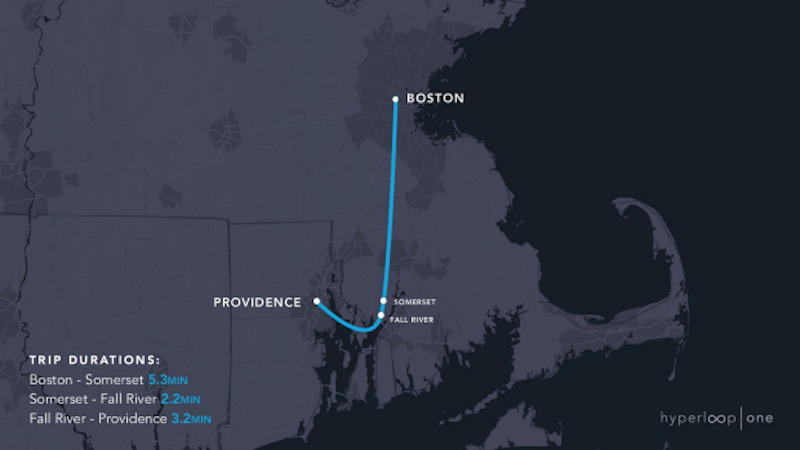 Led by Holly McNamara, selectman of the town of Somerset, the team proposes using a Hyperloop to connect Boston and Providence with stops at Somerset and Fall River. 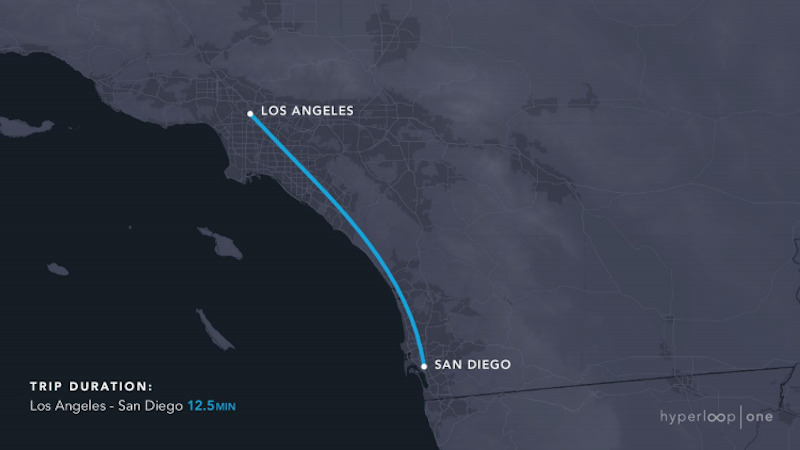 The Hyperloop would run for 64 miles. The goal is to build an elevated system that shares highways and rail right-of-ways with connections to the Northeast Corridor, Amtrak’s most popular rail line that runs between Washington D.C. and Boston. The team is led by John Whitcomb, a member of the Colorado Renewable Energy Society. It proposed a long, 1,152-mile route between Cheyenne, Wyoming and Houston, Texas with stops in Denver, Dallas, and Forth Worth. The team is composed of Missouri’s Department of Transportation and is led by Thomas Blair, the department’s assistant district engineer, highlighting some state support for the project. 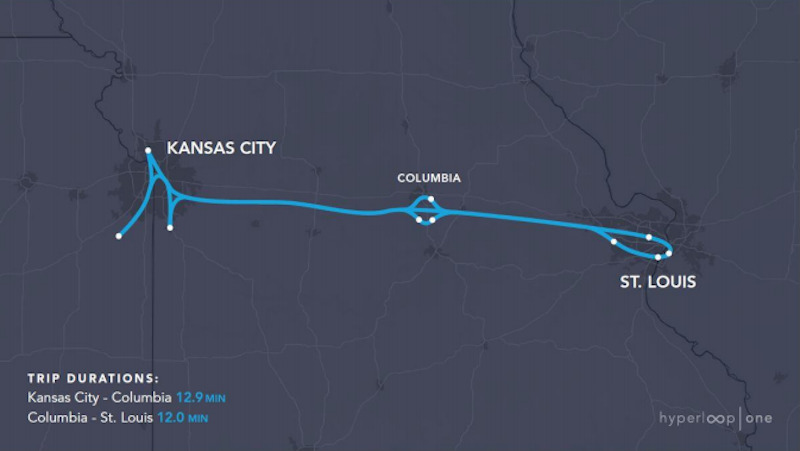 The 240-mile route between Kansas and St. Louis would stop in Columbia. The team is led by Alice Bravo, director of transportation development in Miami, highlighting similar state support to Team Missouri. The 257-mile system would transport passengers and cargo and run parallel to Highway 27 and I-4. The team is comprised of architects, designers, and faculty members from Woodbury University and San Diego State University. The 121-mile system would transport cargo and passengers and make no stops in-between. The team is led by Steve Hill, executive director of the Governor’s Office of Economic Development, and includes support from the state’s Department of Transportation. The 454-mile sytem would carry freight and passengers and run along I-11. The 488-mile system would carry passengers and cargo between Pittsburgh and Chicago with a stop in Columbus. The team is led by Thea Walsh, director of transportation systems and funding for mid-Ohio regional planning. 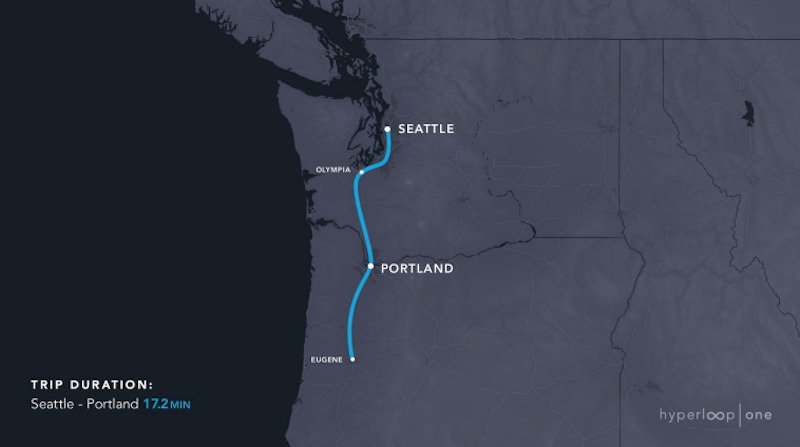 The team is led by University of Washington students and proposes first carrying cargo along the 173-mile route before including passengers. Comprised of members of the Colorado Department of Transportation and engineering firm AECOM, the team boasts having partnerships with the Denver International Airport, the City of Denver, and the City of Greeley. The first phase of the project would connect Denver International Airport to Greeley and would eventually expand into a 360-mile system. This is the third route proposal to pass through Denver, Colorado. This team is lead by Blake Anneberg, a self-proclaimed tech enthusiast. 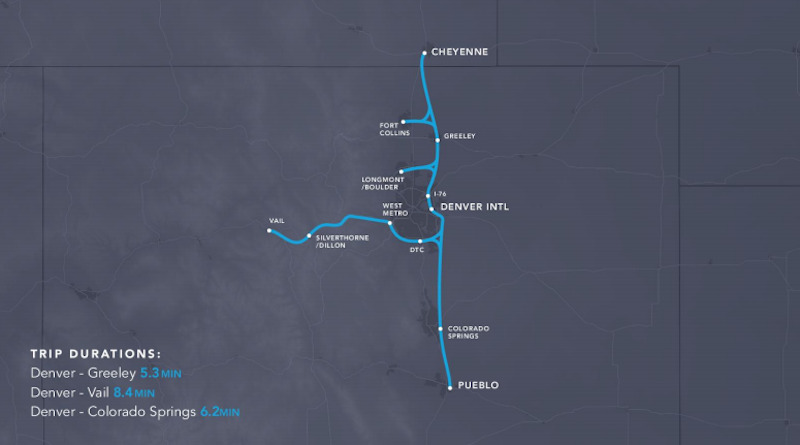 The first phase of the 242-mile project would run between Denver and Colorado Springs or Denver and Fort Collins before expanding to other cities. The team was created by engineering firm AECOM and led by Steven Duong, an AECOM urban designer. 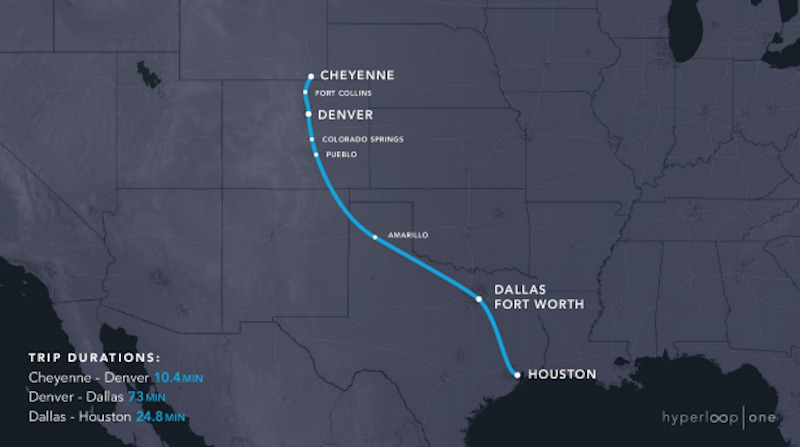 The 640-mile system would connect all the major cities in Texas and carry passengers and cargo. The route would follow I-35 and I-10.